The liveliest thread on the TI Discussion Forum at the moment is titled ‘a question about continuance.’ with, as of this morning, 59 posts, which have drawn over 1300 views. What’s curious about this thread is that the initial query was about how to swim faster, yet the bulk of discussion has centered on various forms of ‘superslow’ practice. Such a discussion could occur nowhere else but the TI Forum! I should clarify that swimming more slowly isn’t the object. Rather it’s to improve at swimming with consummate ease and to explore your ability to slow particular aspects of the stroke, while maintaining overall flow and body control. Martial artists have long known the value of moving as slowly as possible to increase awareness, control, fluency and integration. It’s a harder sell in the swimming world. It’s also a much more exacting skill in the water, than on land. Slower movement highlights errors in Balance and Stability. Which makes it exceedingly valuable. This morning, Ken B posted the following: I’m enjoying this discussion. I am 74, with the usual age related challenges. Continuing to swim with ease into my 80’s is my main mission. This winter I’ve been pushing gently off the end of the pool feeling the delicious, effortless glide then trying to maintain that feeling to the other end. If I achieve a clean well-timed catch and maintain my original long-axis posture ,and breathe with absolutely no head lift I can drift into the far wall with no energy used at all. I know I’m getting somewhere because I looked up this morning to find I had an audience. Ken captured the spirit of this enterprise exactly. He recognizes that swimming this way is a highly exacting and very rewarding SKILL. For the goals, priorities, and – yes – values Ken cites for his swimming, he could hardly make a better choice than this. My goals are similar to Ken’s. I wish to swim well, enjoy it limitlessly and even continue improving for 25 to 30 more years — i.e. into my early 90s. At the same time, I also maintain a vision of breaking the national 85-89 record for 2-mile cable swim, and contending for a FINA World Masters open water championship in the same age group in 20+ years. And hopefully repeating that in the 90-94 and 95-99 categories–which thus far no swimming-nonagenarian has yet attempted. While swimming as easily as I can, I also time myself, often for 100y/m repeats. When doing so, I always swim faster over a series of 6 or more 100s–even while trying to maintain my initial sense of relaxation. While doing these, I often visualize how my swimming would appear to an audience–as Ken found himself with the other day. This turns my Tuneup series into a Beauty Contest as well as an Exercise in Ease. But even with far-off goals of breaking age group records or winning world titles, the main reason I swim this way is that it feels so amazingly good — in both body and psyche — in the moment I’m doing it. The video of TI Coach Shinji illustrates something like what I describe and strive for. But I try to make my 2-Beat Kick even gentler than you’ll see in the underwater segment. This is because I’m trying for maximum ease and relaxation, not minimum stroke count, in my Tuneup swims. Hard to get enough of watching Shinji swim! Olympic swimmers seem to use the TI glide more than in years past, and watching their underwater profile is fascinating. 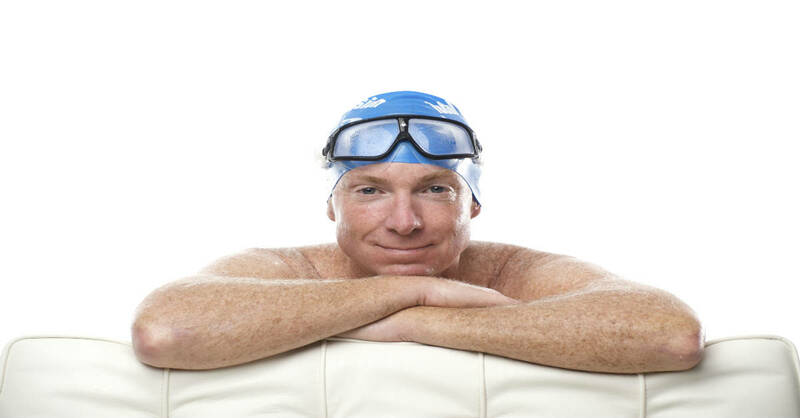 As a 62 year old life time swimmer, my challenge is mental focus on the stroke, rather than the pressing work or other issues of the day. That focus is the most difficult challenge for me. Thank you for posting and making Shinji’s video avaiable as I learn something from it each time, and I have viewed it many times. To lifetime swimming effortlessly. I like what I see on the video.But when I try to swim slower I get to wallowing around. Last Friday I swam a half mile after recovering form my stroke two months ago.I felt good in the water but really tired ever since. I’m trying with my doctor to work things out. Sorry my rating is a mistake. I accidentally clicked on the star where I had no intention. I would give 5 stars, though. That video was awesome. I’m a 49 yr old beginner from NY who surfed the net trying to find the key to freestyle . I saw the TI stlye and now I’m hooked . I’m a martial artist as well so your references I can relate too. I never get tired of watching such beautiful swimming! Would you mind telling me how long the pool is? If you had a stroke, then you’re doing the right thing. Have you tried using a Tempo Trainer to slow your stroke in precise, measurable and very small (.01 second) increments? Shinji’s 2BK timing and coordination are precisely as we teach it. Left toes ‘flick’ to energize the entry of his right hand. Andvice versa. I suggest you study it again. Had to laugh at quoted post from Ken B. I too looked up to see the entire middle school age swim team lined up to watch me swim a length. Feels odd, but I know the coach wants them to see the “swimming in the front quarter” aspect of the stroke I learned from TI.